Annotation: In Butterfly Meadow, colorful butterflies dance through the air, glowworms inch through the grass, and bumblebees buzz around every flower. It's a place where friendships and adventures take flight! 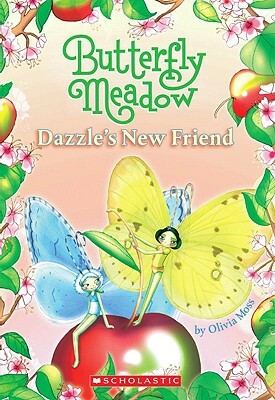 Dazzle and her friends are exploring the apple orchard when they spot a little hedgehog in trouble! They want to help, but the hedgehog's prickly spines could tear their wings. Then everyone would be in trouble! What can Dazzle do? BONUS: Glossary of real butterfly facts included at the end of each book!